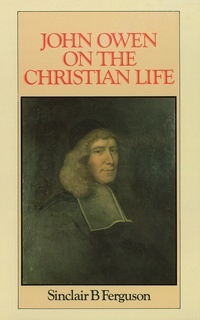 John Owen has long been recognized by evangelicals as one of the greatest of all English-speaking theological classics. Like Augustine, Owen’s thinking touched both the depths of sin and the heights of grace. Many of his readers have come away from reading him on such themes as temptation, or indwelling sin, feeling that Owen knew them through and through. The truth is that Owen came to know himself and God through intensive and constant study of Scripture, and the human heart. It was out of this rich experience that he preached and wrote on the loftiest themes of Christian theology. Owen’s writings address the fundamental issues Christians face in every age: How can I live the Christian life? How am I to deal with sin and temptation? How can I find assurance, and live for the honor of Jesus Christ? This book expounds Owen’s teaching on these and related themes.